Once we arrived we checked into The Magdalen Chapter, a rather fancy hotel that was originally to be The West of England Eye Hospital. 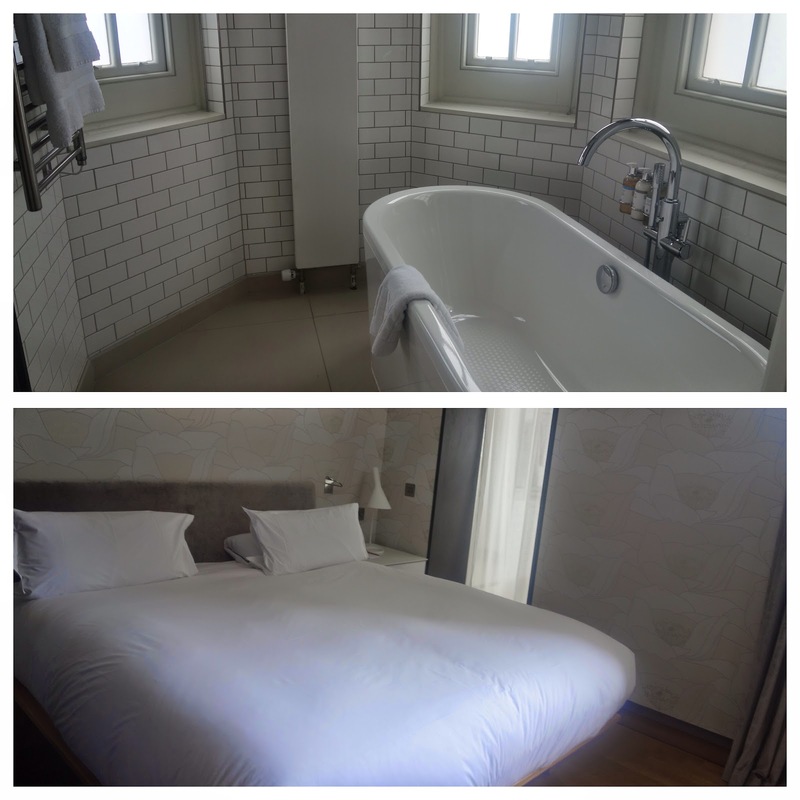 The exterior is traditional and in complete contrast to the inside which is very modern, my room had a separate room for a bath in it's own little turret. Each room also gets a free iPad for use during your stay, a strange but welcome addition. One part I'm really gutted we didn't try out was the swimming pool due to lack of time, I bought my new bikini and everything! We went for an early meal at Bill's where we shared Mezze and then I had the Spinach, Avacodo and Bacon Salad which I've been recreating at home ever since and then the cinnamon doughnuts. I've been waiting to try those doughnuts for way too long and they didn't disappoint! After we retired back to the hotel to watch the World Cup Final and take full advantage of the free mini bar. 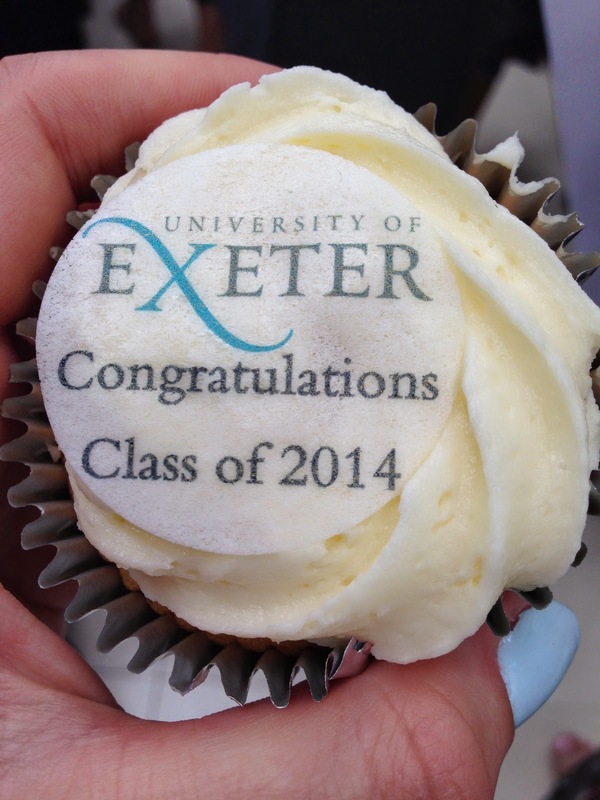 We had to get up far too early for my liking to make our way to the Exeter Campus for 8.30am, thankfully the ceremony went quite quickly in the end and it was time for the champagne reception and cake. For lunch, the graduate decided on the Cosy Club which is pretty new to Exeter as far as I know. It had a really nice atmosphere but possibly slightly too similar to Bill's for my liking since we'd only been there the night before. Nevertheless the food was delicious - we shared tapas for a starter and then I had the fish and chips. I'm not sure how many times I've said it but congratulations to my brother and his girlfriend, Becca for graduating with fantastic degrees! 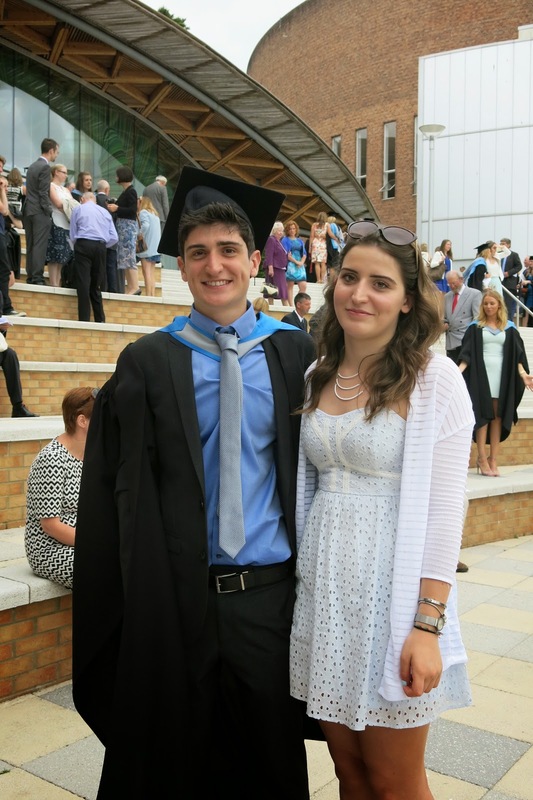 I honestly can't believe how quickly the past 3 years have gone, best of luck to my big brother in the big wide world!